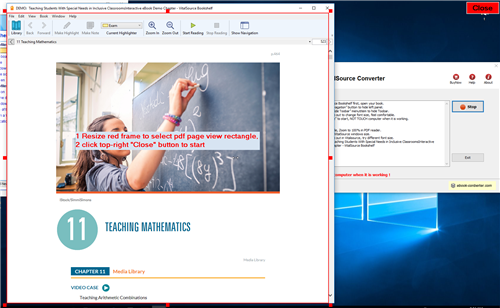 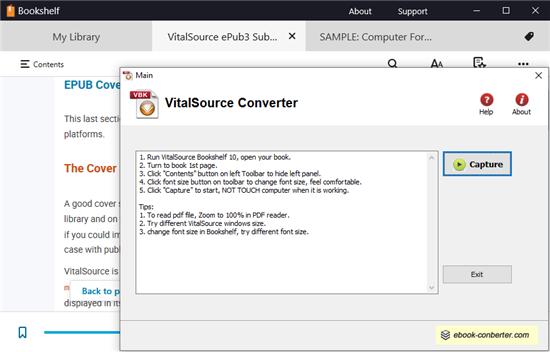 VitalSource Converter is tool to convert vitalsouce book to pdf file, remove DRM protection from VitalSource Bookshelf ebooks, it create a new non-DRM protection PDF file with 1-click, the new PDF file can read in Windows,Mac without limitation, share your ebook with friends. 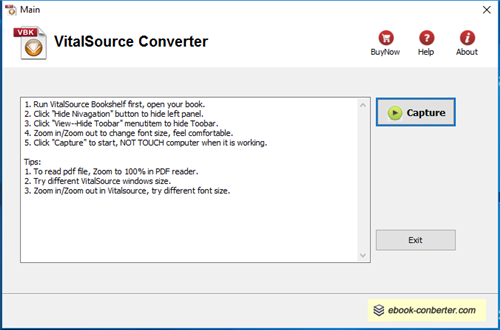 VitalSource Converter support pdf and epub format ebook in Bookshelf, it takes time to go through all pages, do not touch computer when it working until job done. 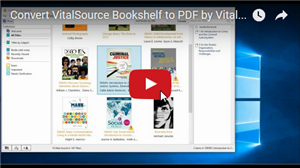 Bookshelf is a free download and available for both Mac OS X and Windows operating systems.